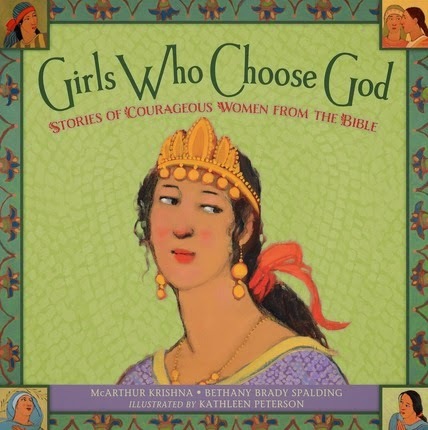 In a world where children will be forced to make some hard decisions, Girls Who Choose God gives them examples of women from the Bible to look up to and emulate. With stunning hand painted illustrations by Kathleen Peterson this book is a work of art. My children are still a bit young to truly enjoy them, but we will be using it as a read aloud and Sunday School tool. The authors highlight strong women and ask readers a question at the end of each story. A wonderful addition to your library and a great way to get discussion going about what you would do in a difficult situation to be more like these girls in the scriptures. Girls Who Choose God has a multi-cultural and ethnic feel. The pages are vibrant. Love! McArthur Krishna inherited her grit from her Utah pioneer great-grandmothers. With a masters degree in communications from BYU, she co-owned Free Range, an award-winning marketing business focused on telling social justice stories. In 2011, she moved to the Magic Land of India and started writing books. Bethany Brady Spalding likes to stir things up in the kitchen and in the community. She has founded programs to promote health and nutrition in the USA, South Africa, and India. Bethany currently leads a regional coalition in Richmond, Virginia, to create a healthier food environment for at-risk children. She loves to cook and climb mountains with her husband, Andy, and their three adventurous girls. Kathleen Peterson has illustrated twenty books, mostly for young people, on topics ranging from world religions to Hawaiian legends. Her art can be found in galleries throughout the West. She and her husband, Steve, live on a farm in Spring City, Utah.